The Performing Arts and Leadership Series is excited to announce the addition of The Church Basement Ladies in Rise Up, O Men at the North Iowa Community Auditorium on the NIACC campus at 2:00 p.m. and 7:00 p.m. on Friday, March 22nd, 2019. Let’s hear it for the boys! The musical comedy series Church Basement Ladies will finally show off the men of East Cornucopia Lutheran Church in the new production of Rise Up, O Men. This sidesplitting, uplifting peek into the lives of rural Norwegian Lutherans gives the gents a chance to shine. The church ladies would never leave the basement kitchen unattended because who would make the bars for youth group? But as they busy themselves with preparations for the town’s 1964 Centennial Celebration, we get to see their comings and goings from the eyes of the menfolk who have their own problems to solve. Karin’s husband Elroy, farmer Carl, and Great War vet Arlo are joined in brotherhood by Pastor E.L. Gunderson. Their camaraderie unites them as they deal with furnace salesmen, looming retirement, rival Protestant denominations, the Pastor’s bad jokes, and Arlene’s even worse cooking. The series of Church Basement Ladies productions are inspired by the bestselling book “Growing Up Lutheran” by Janet Letnes Martin and Suzann Nelson. This latest chapter in the lives of these rural Minnesota Norwegians was developed by Greta Grosch, who wrote the scripts for the second, third, fourth, and fifth musicals in the series. Longtime Minneapolis StarTribune theatre critic Gravdon Rayce contributed additional material. Composer and songwriter Dennis Curley wrote the music, with lyrics by Dennis Curley and Greta Grosch. For tickets to the show, call the NIACC Box Office at 1-888-466-4222, extension 4188. Tickets may also be purchased online at www.niacc.edu/boxoffice. The Broadway sponsor for the 2018-2019 Performing Arts and Leadership Series is Pritchard Family Auto Stores. 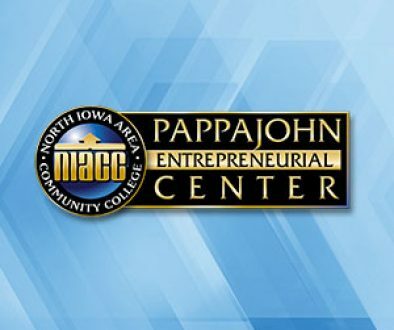 Platinum sponsors include Samuel & Patricia Congello, Elizabeth Muse Norris Foundation, Globe Gazette, Lee Foundation, Mason City Clinic, Mercy Medical Center of North Iowa, and Principal Financial Group. Gold sponsors include Neurosurgery of North Iowa Drs. Beck and Bhangoo, First State Bank Belmond, Dean Genth & Dr. Gary Swenson, First Citizens National Bank, Henkel Construction Company, Historic Park Inn, MBT Bank and the Hanson Family Foundation, Dr. Bryan and Alicia Navarette, Northwoods State Bank, North Iowa Eye Clinic P.C., Stratford Foundation, Sukup Manufacturing Co., Holiday Inn Express, KGLO, KIMT, and North Iowa Broadcasting.